Here are our top ten young adult fiction books of the year, voted for by Readings staff. Displayed in no particular order. When an accident puts the most popular girl at school in hospital, it’s as if everyone has turned up to find out if she will live or die. But was it an accident? Why would the girl who appeared to have it all throw it all away? This is a fascinating, beautifully written debut about the impact of our actions upon one another. A beautiful exploration of love, power and the bonds that tie. Avery’s destiny is to become the Sea Witch of the island where she was born, but her mother is intent upon changing it. The romance is very sweet, but the relationships that really stand out are those between Avery, her mother and her grandmother. We Were Liars by E. Lockhart is many things, including an unflinching glimpse into a family fuelled by its own self-destruction in a manner reminiscent of King Lear, and a tale of star-crossed lovers. Mostly, it is clever and surprising. The brilliant plot twists and turns and doesn’t stop. It’s easy to miss gems like this one. A massive hit in the Netherlands and newly translated this year, the story switches between the 1860s and 1930s, following an eccentric family of three girls and three boys, a dreamer father and the sort of brilliantly drawn grandmother you might find in a Dickens novel. Unique, sad and humorous. Elegant one minute and sinister the next, Justine Larbalestier’s prose leads us confidently back to Sydney in the 1930s, where the streets of Surry Hills are ruled by competing mob bosses. Two girls are thrown together when they discover a murder, and, as if things weren’t complicated enough, they also have a ghost world to contend with. In the second book of the Colours of Madeleine trilogy, Elliot has been writing secret letters from within the magical realm to Madeleine out in the world. Could their dangerous cross-realm communication help tosave the Kingdom of Cello? For those after a charming escape into another world, ages 14 and up. Endgame: The Calling is a dystopian game of apocalyptic proportions and the first instalment in what promises to be an epic series. Twelve highly trained assassins – the Players – are called to fight to the death to secure the genetic survival of their tribe. When alliances are formed, some wonder whether a united front could ensure the survival of all tribes. Love is beautiful but it can also be tragic, as it is for the women in Ava’s family. 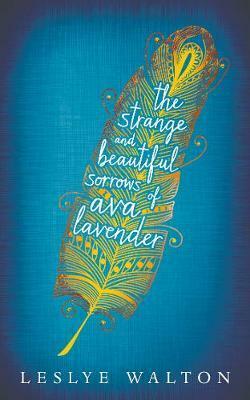 She carries the sorrowful burden of her family’s history and tries to make a life for herself. This is an elegant, lyrical and eccentrically mesmerising story that will linger long after the reader has finished it. A highlight in my reading year. Two school misfits, a road trip with no mobile phones or maps, eccentric characters and beautiful, refreshing friendships combine to make Why We Took The Car a book all teenagers should read. Not only my favourite book of the year, but possibly for all time. Ages 13 and up. The author, when at school, made the brave but mad decision to try and break through the ‘popular cool kids’ barrier using advice from a 1951 teenage popularity guide her father had bought as ￼￼￼￼a joke. From how to dress through to deportment, she followed it all faithfully with hilarious and fascinating results.